How Much is My Burswood Home Worth? 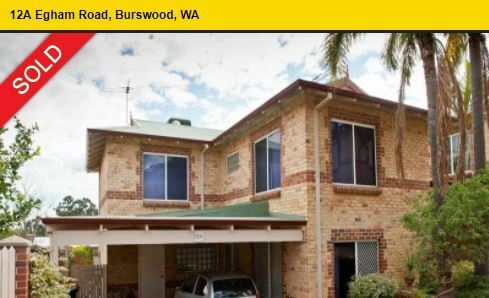 Do you want to know the market price of your home in Burswood? The median price for a house on July 17, 2017 was $669,000. The median price for a unit was $710,000. Over the last 12 month period the capital growth for houses stands at -17.10% and for units it is -4.51%. The average annual capital growth for houses is 3.19% and for units or apartments it is -1.53%. The Demand to Supply Ratio puts houses and units at below average. There are more sellers than buyers and vendors need to be negotiable. Activity in this market is stalling the capital growth. Porter Matthews deliver free property appraisals on land, units, apartments and houses. So, if you want a realistic value of your home we will do this at no cost to vendors. We calculate the property price on location to shops, schools and amenities together with the recent sales history of Burswood. On our books we have home buyers and investors interested in property in Burswood. Do you own your home and wish to rent it out? Or, do you have an investment property and need a property manager? Our appraisers will tell you how much rent per week you can expect. Obviously the appraisal is determined by the length of the rental and the type of tenant preferred. We discuss these terms with the landlord prior to making our appraisal. In our database of potential tenants are singles, families and corporate clients. Our property management team handle the rent collecting, maintenance, routine inspections as well as providing full taxation reports. Browse our list of recently sold homes. URGENT SALE - STEP RIGHT UP! MILLION DOLLAR VIEWS ARE JUST THE START!